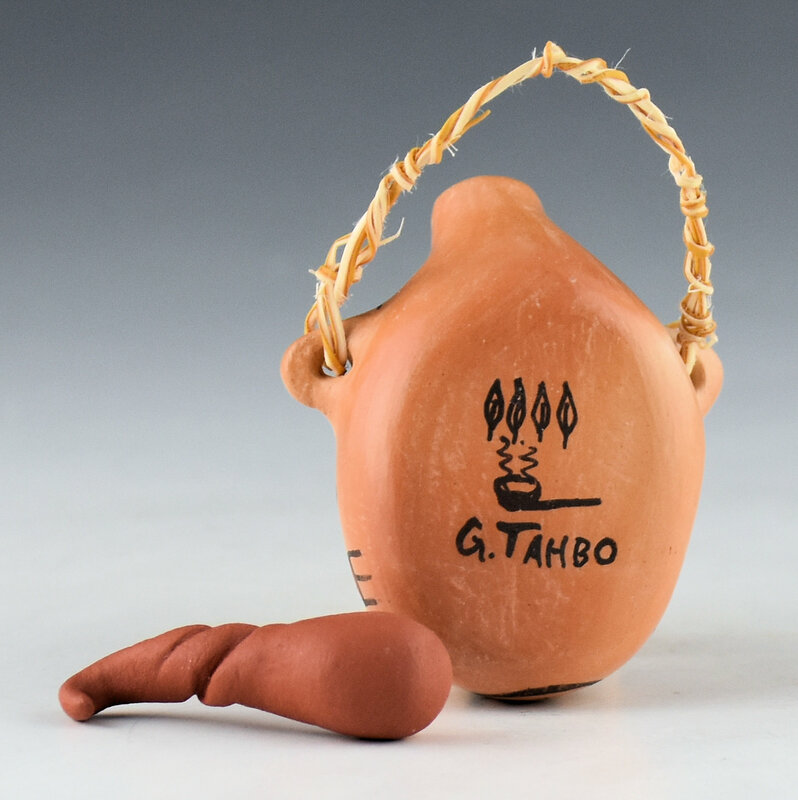 Grace Tahbo is a relative of Mark Tahbo’s who is known for her miniature pottery. 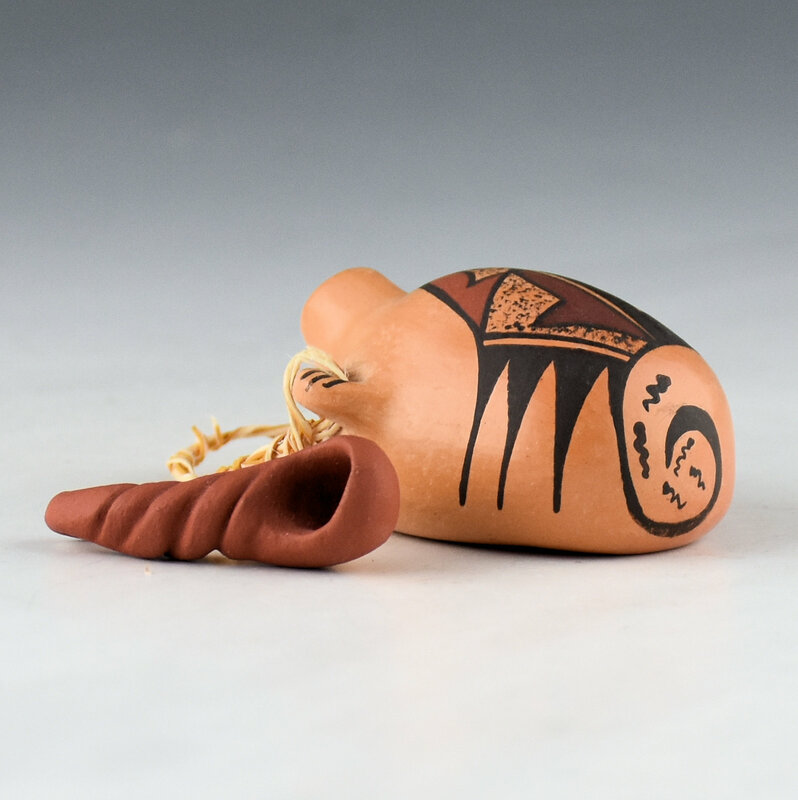 This miniature canteen is painted with a cloud and lightning design The black is bee-weed (a plant) and the red and orange are two different clay slips. Grace also made the little fiber handle for the canteen. The little ladle goes with the canteen and it is also clay. Both are traditionally fired. The canteen is signed, “G. 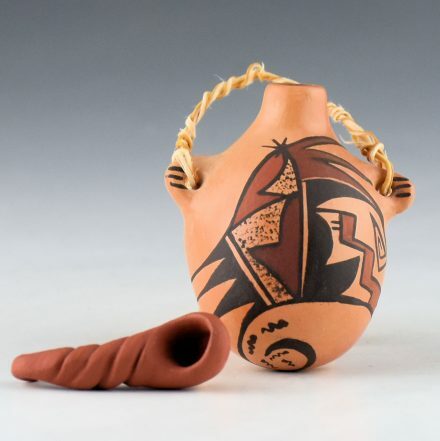 Tahbo” and a pipe for Tobacco Clan.